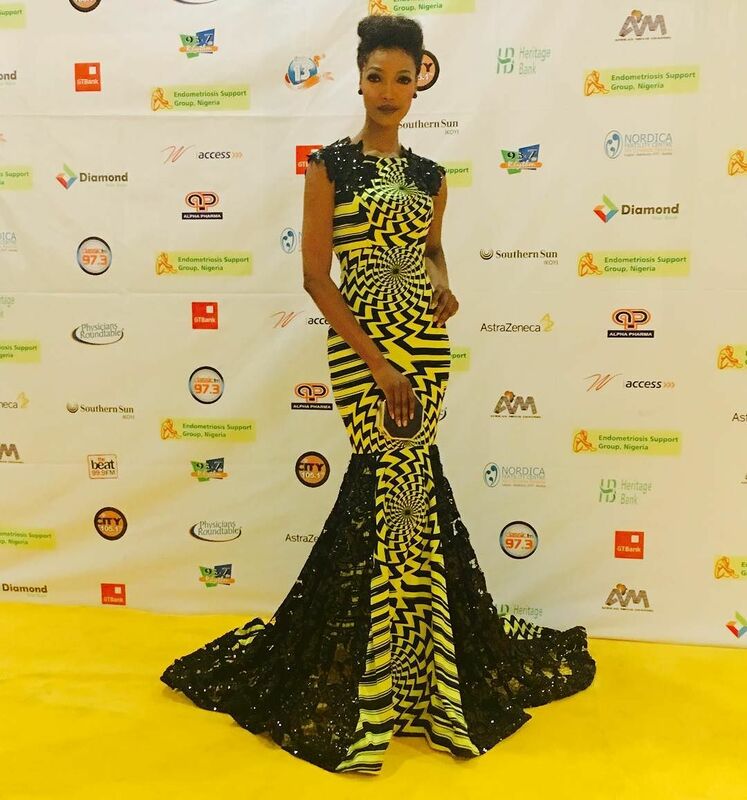 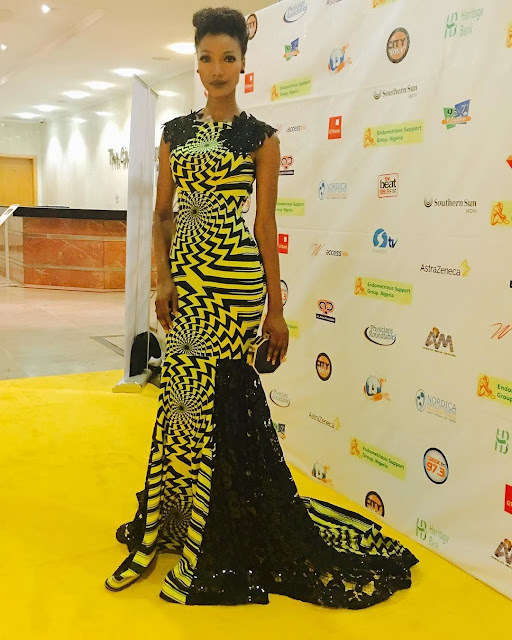 The former Miss Tanzania and international model "Millen Magese" wore the lovely outfit to Endometriosis gala night holding in Lagos yesterday. Millen wore a long black and yellow gown with lovely stips which make the gown looks stunning. 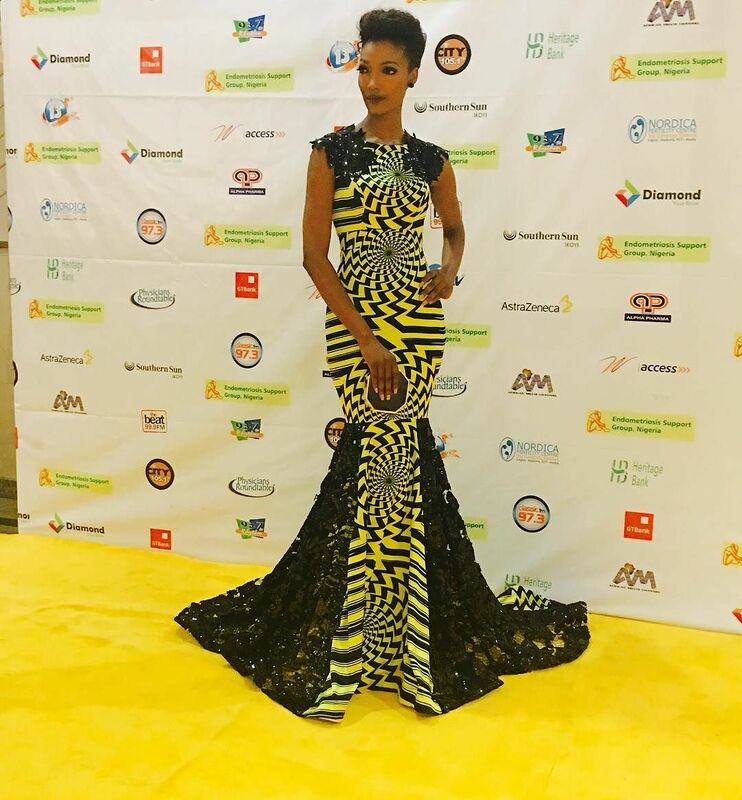 What do you think, She looks great Right?